Advantages : Automatic control of feed motor to regulate the cotton flow is achieved. The unit controls the feeding system to attain uniform, continuous output. Choking of cotton fibers is completely avoided. It is an Electronic Photo Cell unit consists of one control unit and three sensor assemblies. The two sensors are mounted at the Top level and third at the Bottom level of the transparent chute face (Glass Panel) to maintain the cotton level. 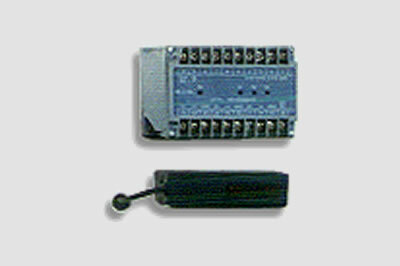 The TOP sensors (S1/S2) switches off the feed motor when blocked by cotton within a preset time. The BOTTOM sensor (S3) switches the motor from high speed to slow speed when blocked by cotton within a preset time.